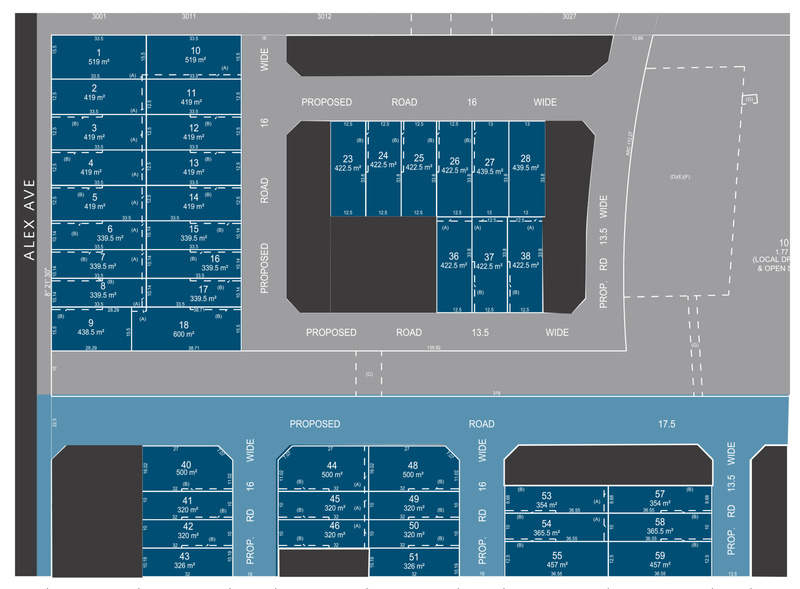 The land release of 55 housing lots located at 102-114 Alex Avenue, Schofields ranging from 305m² to 585m² suitable to accommodate various types of residential single, two storey and dual occupancy dwellings for any purchaser who wishes to secure land in Schofields. The new land release is approximately 45km from Sydney City and located within close proximity to West link M7, Woolworths, BWS, chemists and Schofields Train station, schools and a short drive to Rouse Hill Shopping Centre, Stanhope Village Shopping centre and The Ponds. Make your inquiry now and become part of our Clearstate Property Group Project Marketing email database to be informed about any upcoming land. Lot sizes range between 305m2 – 585m2.